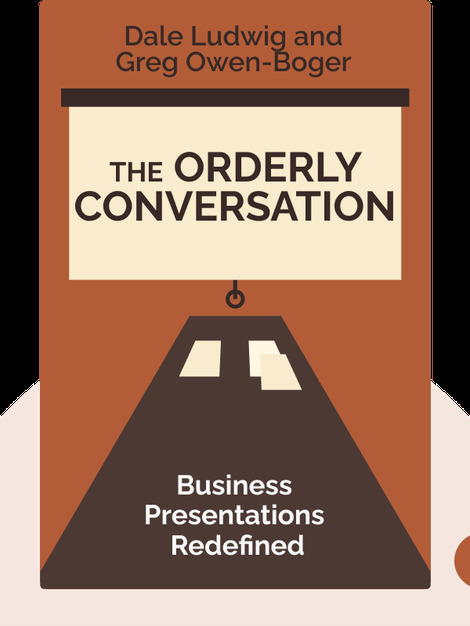 The Orderly Conversation (2014) is a guide to designing, preparing and delivering a killer presentation. These blinks explain why making a speech is different from presenting in a business context, and why strong presentations are just like a good conversation. 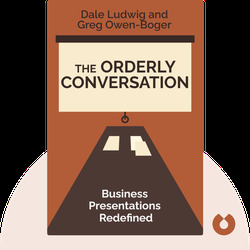 Dale Ludwig is the founder and president of Turpin Communication, which helps people develop the skills and proficiency to excel in presenting. He holds a PhD in communication and has been a lecturer at the University of Illinois at Urbana-Champaign. Greg Owen-Boger is the vice president of Turpin Communication. His diverse background includes experience in management and the performing arts. In addition to his day job, he is a frequent blogger.